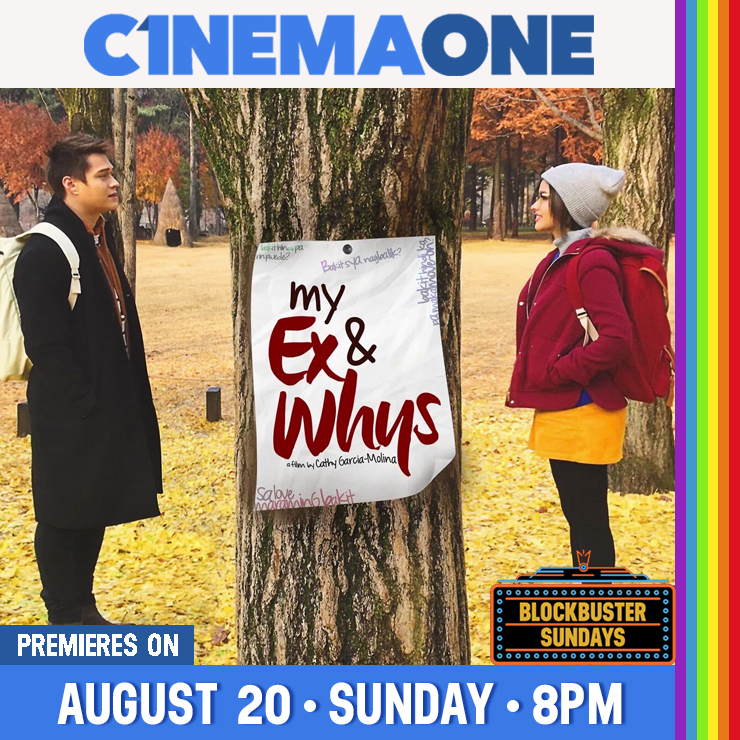 “My Ex and Whys,” the highest earning local movie for the first half of 2017 with P400 million sales worldwide starring Liza Soberano and Enrique Gil, makes its Cinema One premiere this Sunday (August 20). Released in February of this year, this Star Cinema mega blockbuster film directed by Cathy Garcia-Molina is LizQuen’s third movie in a leading role and their most successful big screen project to date. Blogger Cali (Liza) shares her painful experience in love to her followers with her “Bakit List” rants. Her former boyfriend, Gio (Enrique), answers back with his “Dahil List,” aiming to win over the trust of the girl he once hurt by explaining his side of the story. In an unexpected twist, the two are forced to work with each other and will be entangled in their exciting pursuit of payback and forgiveness. Aside from the fun and romance that the film delivers, viewers also get to see scenic spots in South Korea, meaningful sites in Cali and Gio’s journey, as a bonus treat. Believe in the magic of second chances in “My Ex and Whys” on Cinema One’s Blockbuster Sunday (August 20) at 8PM. Cinema One is available on SkyCable and Destiny Cable Digital Channel 56, and Destiny Analog Ch. 37. Like Cinema One on Facebook at facebook.com/Cinema1channel to view full schedule and catch the replay dates.